How can you tell if OCD tendencies are symptoms that require professional help? There's no easy test, as it's usually a matter of degree, said Jeff Szymanski, executive director of the International OCD Foundation, a Boston-based advocacy organization. Still, there are certain patterns that may indicate the full-blown disorder. Here are 10 of the most common. Compulsive hand-washing or hand sanitizer use is so prevalent in OCD that “washers” has become a widely accepted category of OCD patient. The urge commonly stems from a fear of germs (the most common obsession seen in OCD), but it also can be rooted in fears of making others sick or of being impure or immoral. When to seek help: If you think about germs even after washing your hands, worry that you're not scrubbing well enough, or have irrational fears about disease (such as getting HIV from a shopping cart), it could be a sign that your hand-washing is compulsive, Szymanski said. Elaborate hand-washing routines—needing to wash five times and get soap under each nail, for example—are another warning sign. Health.com: Do You Have an Anxiety Disorder? People with OCD who fall into the “washers” category also tend to clean compulsively. 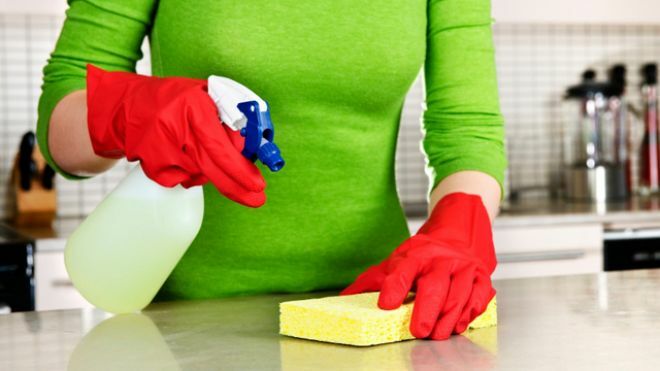 As with hand-washing, housecleaning is often a way of easing germaphobia or feelings of impurity. Although cleaning can help chase these obsessive thoughts away, the relief does not last, and the urge to clean is often even stronger the next time. So-called checking behaviors—returning three, four, or even 20 times to make sure the oven is off or the front door is locked—are the most common compulsions associated with OCD, affecting nearly 30 percent of people with the disorder. Like other compulsive behaviors, checking can be driven by a variety of obsessions, ranging from a fear of getting hurt to deep-seated feelings of irresponsibility. People with OCD can take organizing to the level of perfectionism. “It has to feel just right, look just right, be symmetrical, be the right number [of items],” Szymanski says. This fussiness is often driven by obsessions about order and symmetry. When to seek help: “I'm neat and organized and like things a certain way, but it is out of preference,” said Szymanski, author of The Perfectionist's Handbook. OCD enters in when want to becomes have to: People like Szymanski enjoy a tidy desk and find it helpful, whereas people with OCD may not necessarily want to organize their desk but feel they must, in order to relieve their anxiety. When to seek help: It's important to recognize that we all have occasional dark thoughts, Szymanski said. But it could be a sign of OCD if thoughts of getting mugged make you avoid the park, for example, or if concern for your mother's safety spurs you to call her several times a day. When to seek help: “Most people can say, 'Oh, I don't really want to do that or it doesn't represent who I am as a person,'” Szymanski said. “But someone with OCD thinks, 'These thoughts are terrible, no one else has them, what do they mean about me. '” Changing your behavior as a result of these thoughts—avoiding gay friends or a coworker you've thought about sexually, for instance—is another red flag. When to seek help: “Breaking up with a girlfriend or boyfriend can make anyone 'obsess,' whether or not they have OCD,” Jenike said. But it may be a sign of OCD if thoughts like this get stuck in your head and snowball into excessive self-doubt or fears of being a bad person. One way people with OCD try to soothe their anxiety is by asking for the opinion of their friends and family. If they're concerned they embarrassed themselves at a party, for instance, they may repeatedly ask a friend to replay the incident. Asking friends to weigh in (”Does my house seem dirty to you?”) can also be a strategy for avoiding compulsive behaviors. When to seek help: It's normal to dislike some aspects of your features. But people with BDD may spend hours a day checking the mirror. “You overvalue how important it is to you and others and may avoid being around people,” Szymanski said.